Speaking in a developer video, Shigeru Miyamoto has enthused about Pikmin 3, explaining that he became convinced that the upcoming Wii U title is a game that everybody can play after some neighbourhood children recognised his Pikmin characters. Nintendo's legendary game designer mentioned how pleased he is with how the game has turned out, going so far as to say that it feels that Wii U was created for Pikmin. Elsewhere in the talk, Miyamoto offered up information on control methods and gameplay modes. Players can choose between Wii Remote Plus and Nunchuk, GamePad controls or even the Wii U Pro Controller, and play either on the television or on the GamePad screen alone. On top of the main story mode, there are also smaller timed missions of seven-to-ten minutes, plus a Bingo Battle versus mode where players race to finish a bingo card by collecting items. Do you race towards your own objective as fast as possible, or do you ruin your opponent's chances by blocking their progress? In the campaign, you're now restricted by limited-time days — but you can take as many days as you like to complete your mission. Interestingly, bosses also retain damage over multiple days. For example, if you harm a boss and then run out of time for the in-game day, you can return the following morning and finish off the cretin. You can hear more about Pikmin 3 straight from the mouth of Shigeru Miyamoto here — are you looking forward to the return of the strategy game? Looking forward to this one! This really should be a true Wii U gem. Seems adorable as always. A must-buy for me. Looking forward to Pikmin 3. Never played the first two pikmin actually. Same here. My only Pikmin experience is with Nintendo Land. Looks so good. I'm sad no MK8 this year. I really think it could have sold systems along with 3D world too. But these are some great nintendo games this year. I get back from vacation Aug 2nd (please don't rob my house while I'm gone) and then after a day of laundry it's time for my WiiU purchase. Doesn't look good for a bundled collectors ed. but maybe Target will give me a $25 GC for purchasing both together. I am really looking forward to this game. It just looks so mouth watering gourgeous and sheer fun to play. This is exactly the kind of game that makes me buy Nintendo consoles. This is probably the game I'm looking forward to the most on Wii U now after the less than stellar ND this morning. If it is anywhere near as good as Pikmin 2, I know I'll love it. I really like how they are giving you three different control options. Hopefully that is something Nintendo keeps on doing with their games. I know there will be times when I just want to play a game with the pro controller, so it would be nice to have that option. If I get the game and the only thing to do other than the story is timed challenges like in Pikmin 2, I'll literally cry. My daughter knew nothing if this series until Nintendo Land and she's quite jazzed since it's probably her favourite of the games in that collection. Needless to say I agree with Miyamoto-San! Bingo Battle seems amusing. I hope local co-op is still in. I don't think he mentioned it. I have to play 3. Well, I don't HAVE to, but I want to really badly. I'm so excited about this game! It's looking really beautiful. This one's gonna be good! Got to play the demo at the Wii U preview event, and as an avid Pikmin fan (10-day completion ;D) I can say I really like the controls. Hoping that not having a time limit will not impact the replay value too much. Part of the reason I still play pikmin 1 is to beat it faster, and I think the time limit helps push me. Well he sure has a lot of enthusiasm in the Developer Direct. Sounds almost like a passion project instead of the typical "give the people what they want mentality. Pikmin 3 just keeps sounding better and better. I can't wait to try this game myself. This may be the game that makes me buy a Wii U! It looks amazing. Pikmin 2 took me a long time to get into. At first it didn't seem interesting at all and I wondered why people rave about Pikmin. I nearly gave up on it. It wasn't until nearly completing the story that I came to really understand the game mechanics, and now I'm hooked! 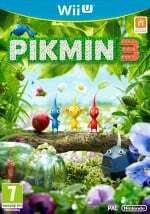 I hope Pikmin 3 has bonus things to unlock by completing the game in under a certain number of days or losing under a certain number of Pikmin. Just trying to beat top scores is nice and all but it's more fun to have extra incentives to replay the game. This was sorely missing in Pikmin 2. With no limit to the number or days, you didn't even really need any skill or strategy to beat it as long as you just made more Pikmin. I never actually played Pikmin 1, but I may have to check it out. The days limit makes sense to me because without it the game loses what makes it interesting and fun, ie. learning how to use your Pikmin efficiently. I also understand why some people complained about the 30 day limit, so I think the right balance is to have no time limit to beat the main story mode but to have better endings to unlock if you beat it faster. I hope this is what Pikmin 3 delivers. I can't recommend Pikmin to anyone. I have been waiting years for this game. And I'll be buying it the moment it is available. Looks like the right amount of nintendo polish and style has been included into its development. Absolutely awesome. I am going to play all 3 one after another with the wii remote and nunchuk. This is easily an instabuy for me Looks awesome. I wonder though if in multiplayer it is possible to have 1 on the gamepad and the other on tv. Waiting patiently for 26 July, day one purchase for me. That new Bingo mode looks great! What a fresh twist on the already fun multiplayer battle mode!